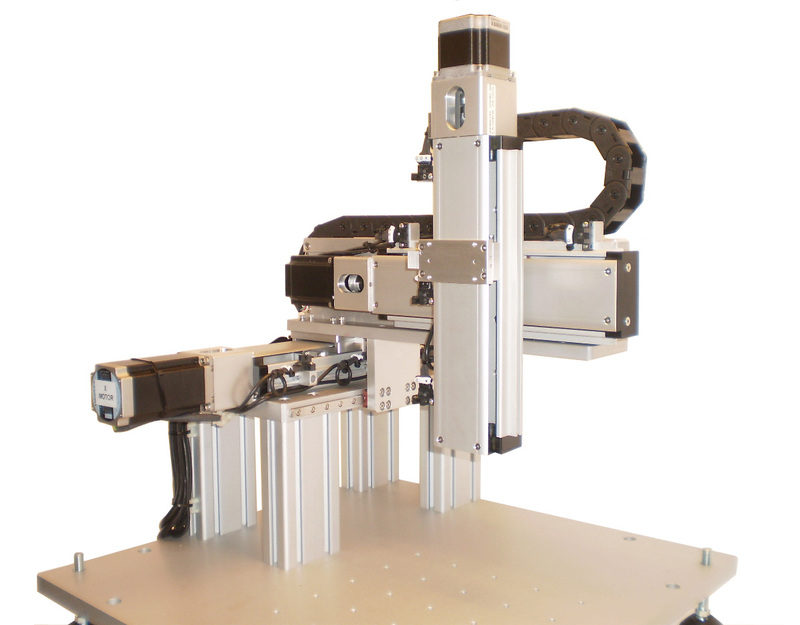 IntelLiDrives Cartesian Multi-Axes XYZ Systems are built on BSMA Series motorized ball screw linear actuators and are ideal for many automation applications including pick and place, assembly, test and inspection, dispensing stations. 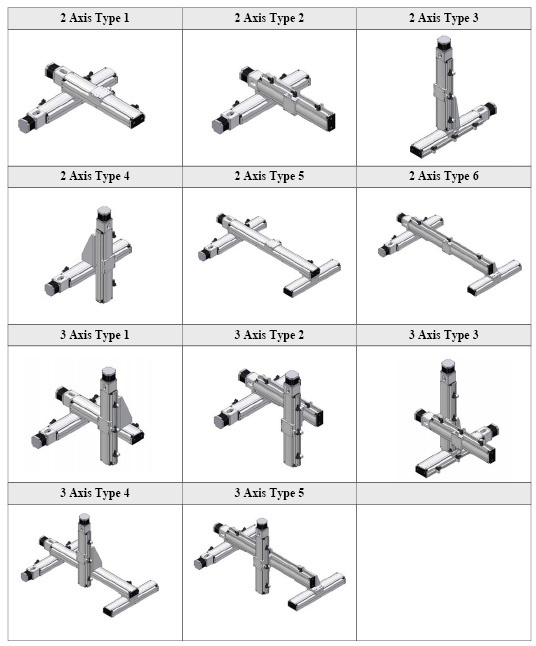 Standard configurations include left or right handed XY, XYZ, and XZ systems. Stages can be side or base mounted with elevation raisers and base platform. An optional rotary axis can be mounted to the Z stage. The integrated cable management system includes connectors for easy disconnect of customer cables and air lines. All stages have environmental protection, options of stepper or brushless servo motors with encoders, integral limits and multiple ball-screw leads providing a wide range of speeds and resolutions.